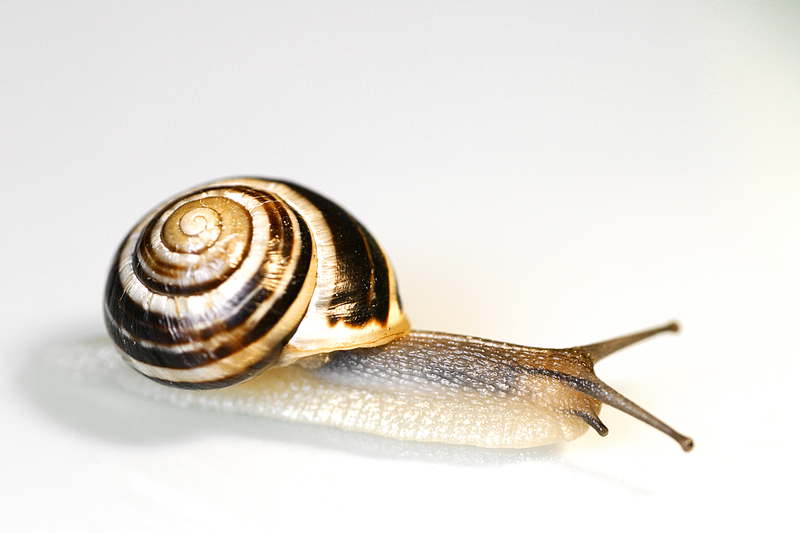 Snail secretion has been part of the anti-aging craze in Korean skin care for years now. And, I finally got up the nerve to try an eye cream product containing this normally gross stuff. 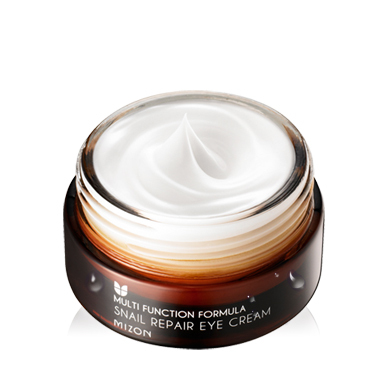 Korea’s Mizon Snail Repair Eye Cream is an all-in-one eye cream formulated with 80% snail mucin. It is a sister product to Mizon’s best-selling All-in-One Snail Repair Cream and has sold by the millions across Asia for its high efficacy ingredients. Mizon claims this eye cream hydrates, helps diminish the look of fine lines, and promotes the brightening of dark eye areas. Apparently, snail slime has been used for centuries to treat burns and wounds. 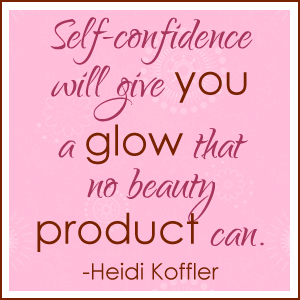 It has also been shown to effectively reduce and soften wrinkles, scars, stretch marks, age/sun spots, and acne. That was all I needed to hear – I didn’t care if it was slimy, gross, or smelly. If it will keep me looking young, I’ll try it! To my surprise, Mizon Snail Repair Eye Cream wasn’t slimy nor did it have a snail scent. The eye cream actually was a white, light gel-like moisturizer with no smell. What amazed me even more is that the product does not have any artificial fragrance or color. Pretty cool considering the cream is 80% snail secretion filtrate! When I began using the product the first thing I noticed was that it was lighter and more gel-like than any other eye cream I have used. 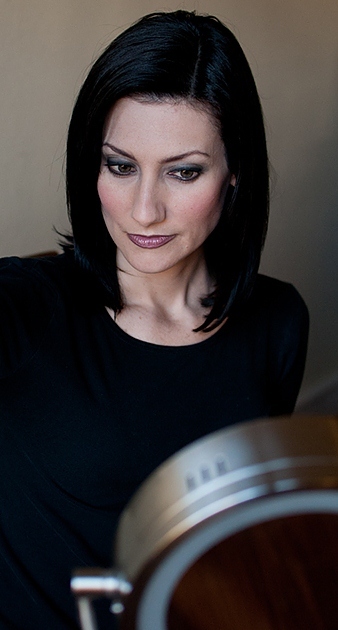 Typically, eye creams are thicker and more moisturizing than the Mizon Snail Repair Eye Cream. Secondly, what stood out to me was how quickly my skin absorbed the eye cream. Also, it is worth noting that my sensitive skin tolerated the Snail Repair Eye Cream very well. I did not experience any negative skin reactions. 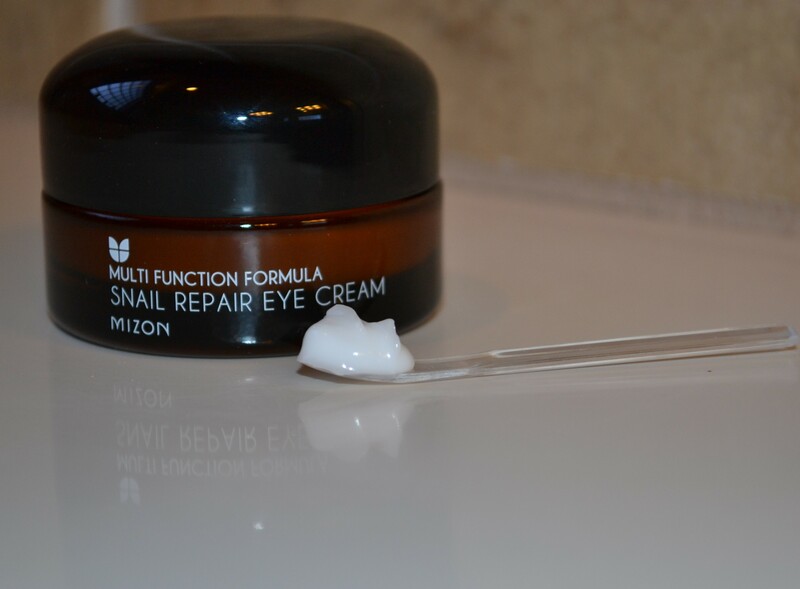 After using Mizon Snail Repair Eye Cream for about a month, I can say that it was hydrating. Although, I wish it was a bit more hydrating just because I like using very moisturizing creams around my eyes to keep the skin supple. I can also confirm that it helped with the look of the fine lines around my eyes. However, I cannot comment on how well it works to brighten dark eyes. Fortunately, I do not have dark circles around my eyes. So this is not a factor for me. Based on these results and the research I’ve done on snail secretion, I want to try more products containing snail slime. Imagine what it could do for the rest of my face and possibly other body parts. Stay tuned Pretty Proof readers! Pretty Proof gives Mizon Snail Repair Eye Cream a 4 out of 5 crowns rating and recommends it to anyone who wants to postpone the aging process with the help of some friendly snails.